Richard Santo Aurilia was born on September 2, 1971 in Brooklyn, New York. Aurilia went to Xaverian high school in Bay Ridge Brooklyn and then attended St. John’s University. He was a star player for the Red Storm baseball team, making All Big East getting & eventually being inducted in the school's Hall of Fame. The six foot infielder was drafted by the Texas Rangers in the 24th round of the 1992 draft. He got eventually was traded to the San Francisco Giants with Desi Wilson for pitcher John Burkett. 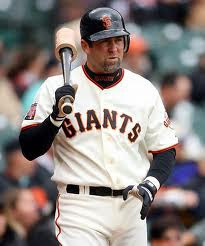 Aurillia would play for the Giants as their main second baseman for nine seasons (1996-2003) then returning for three more years at the end of his career (2006-2009). 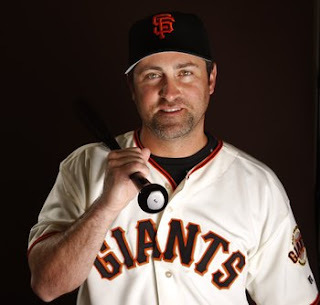 He was a good defensive short stop, anchoring the Giants infield for most of the late nineties & early 2000’s. Aurilla made it as a September call up in 1995 going 9-19. In 1996 he got into 105 games sharing time with veteran Shawon Dunston at Short stop. Aurillia struggled hitting .239. In 1997 he hit the first grand slam recorded in interleague play, in a game against the Anaheim Angels. He only played in 46 games that year as he battled injuries. The next season he had his first full year as a regular, batting .266 with 9 HRs 27 doubles & 49 RBIs. From 1999-2001 he led all shortstops in HRs, although he was not known as a big power hitter. In the 2000 NLDS he only had two hits against New York Mets pitching (2-15) with a double. His best season came in 2001 when he led the league in hits (206) batting .324, with career highs in HRs (37) doubles (37) & RBIs (97), making his first All Star team. Tht year he led all shortstops with 246 put outs & was fifth in fielding .975%. The following season he led the league in fielding (.980 %). In his career he never came close to those numbers again, although he did have four twenty plus HR & 70 plus RBIs seasons. Post Season: In the 2002 NLDS he hit two HRs driving in seven runs against the Atlanta Braves as the Giants went on to win the Series. In the NLCS he hit two HRs, in Game #2 at St. Louis leading the Giants to a 4-1 win over the Cardinals. He batted .333 (5-22) advancing to his first World Series. 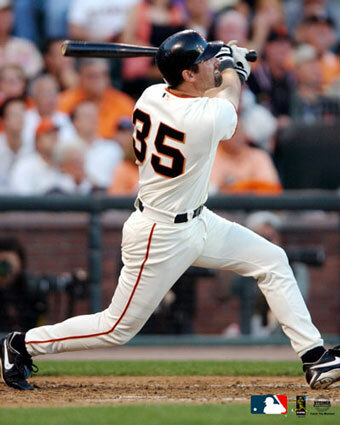 In the 2002 World Series he homered in the Giants Game Three 10-4 loss. He hit another HR in the Giants 16-4 rout in Game #5 at Pac Bell Park. He went 0-4 in the final game and finished the Series 8-32 with a .250 average. In 2004 he signed with the Seattle Mariners but had a hard time adjusting to the American League, batting just .241. That July he was traded to the San Diego Padres but left there at the end of the season. He signed with the Cincinnati Reds and had two good years, hitting .300 for the second time in his career. In 2006 he also hit 23 HRs with 25 doubles a .349 on base % & 70 RBIs. He returned to San Francisco in 2007 but battled injuries. In 2008 he saw action in 140 games batting .283 with 10 HRs 21 doubles & 52 RBIs. As his career was winding down he was playing both at first base & third base. He made the roster again in 2009 but it turned out to be his last season. In his final game in the Bay area he received a standing ovation as the fans appreciated his consistent years of quality play. Aurilia finished his 15 year career batting .275 with 1576 hits 186 HRs 301 doubles 22 triples 756 RBIs & a .328 on base %. Retirement: In 2003, he made his television debut, on the ABC soap opera General Hospital, appearing in a non-speaking role as a Juror in a court room scene. 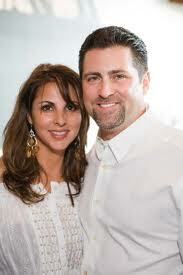 He was accompanied by his wife, Raquel who played another juror. Raquel Aurillia is also a singer / song writer who has released two album CDs. They are also very active in the Make a Wish Foundation charity.